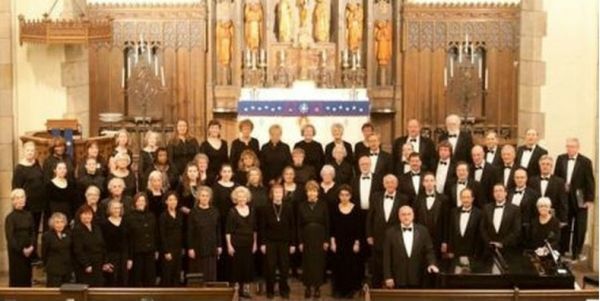 In 1975, the joy of singing and friendship brought together a small group of men and women which has grown to become the Choral Arts Society of Cleveland, a non-profit community chorus of sixty to seventy dedicated and proficient singers. Recognized as one of the area’s premier musical forces, CASC is under the talented and enthusiastic directorship of Martin Kessler, who continues the heritage of visionary and skilled leadership that has nurtured, enriched, and challenged the chorus. Members of CASC are drawn from throughout the Greater Cleveland area. They meet weekly at Grace Lutheran Church in Cleveland Heights. They come from all walks of life, diverse cultural backgrounds, a broad age range, and include talented voices with varying degrees of musical training. The Choral Arts Society is committed to excellence and to performance of choral masterworks of all styles and periods. These have included folk songs, spirituals, short choral masterpieces by composers such as Aaron Copland, Brahms, Randall Thompson, Irving Fine, Howard Hanson, and John Rutter, and full-scale works such as Haydn’s Creation, the Brahms Requiem and other Masses, Bernstein’s Chichester Psalms, Ernest Bloch’s The Sacred Service, Mozart’s Requiem, Orff’s Carmina Burana, Mendelssohn’s Elijah, Dvorak’s Stabat Mater, Gilbert and Sullivan’s The Pirates of Penzance, Faure’s Requiem and Beethoven’s Missa Solemnis. Choral Arts also sang the Ohio premier of Paul McCartney’s Liverpool Oratorio in 1993 at the Palace Theater. In December 2004 Choral Arts premiered a series of Christmas Carols composed by their director, Martin Kessler. During Spring 2012 with the help of a grant from Cuyahoga Arts & Culture, Choral Arts premiered two major works by contemporary British composers, William Godfree and Antony Pitts. 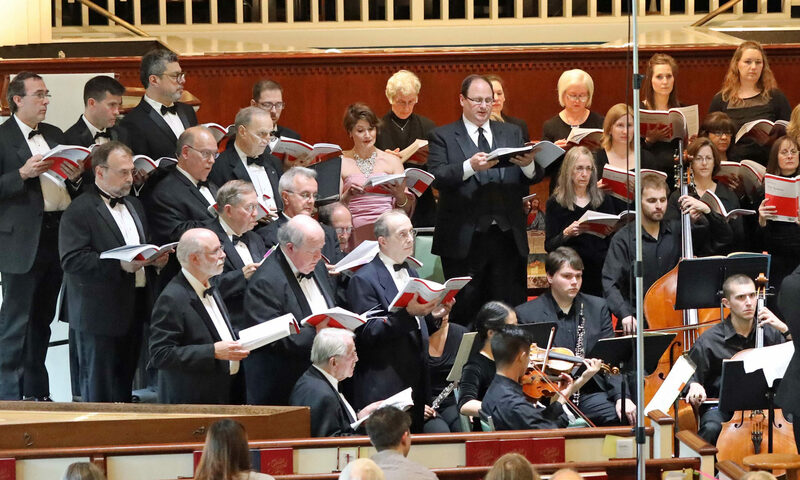 As part of its goal of contributing meaningfully to the artistic life of Greater Cleveland, Choral Arts collaborates with other local arts groups, particularly with the Suburban Symphony and over the years with the Western Reserve Chorale, the Cleveland Women’s Orchestra, and the Cleveland Heights Chamber Orchestra. Choral Arts also draws its instrumentalists and soloists from local talent and frequently invites other local groups to perform at concerts. These have included area high school students and groups such as the drum ensemble Samba Joia as well as students from University and Laurel schools. Choral Arts also makes musical contributions to the community through free-admission concerts, allowing audience members to make a free will donation.